There are basically two types of customers and for each one, a specific type of jewellery production. 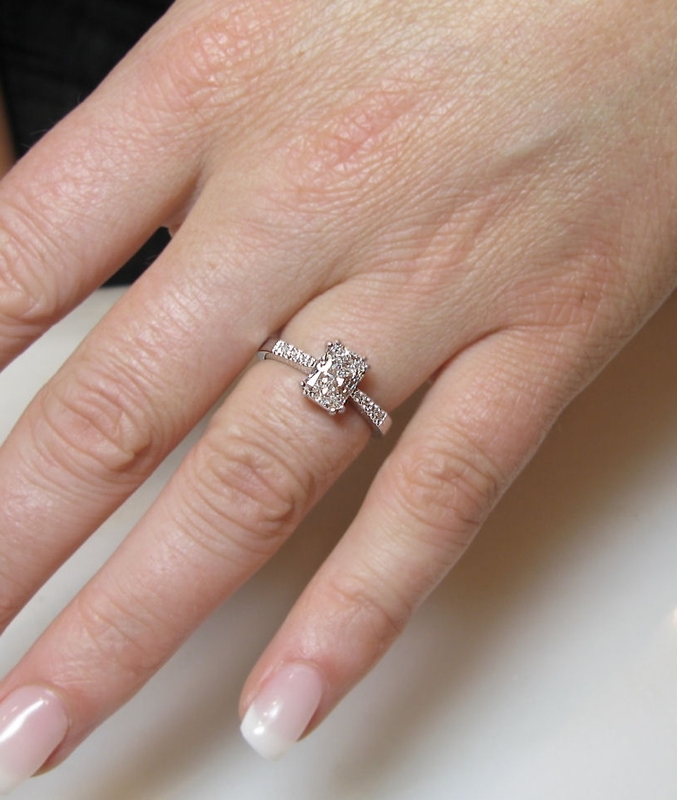 The ” impatient Lady ” who -must- go home today with a ring, regardless of the resulting compromises in quality and desired style. 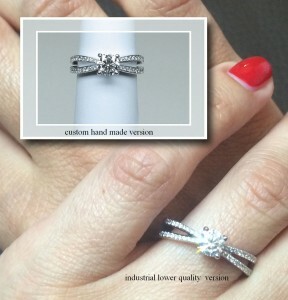 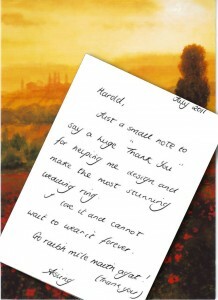 The wiser, patient Lady who knows that quality is the result of invested time for a ring that will be enjoyed for Life! 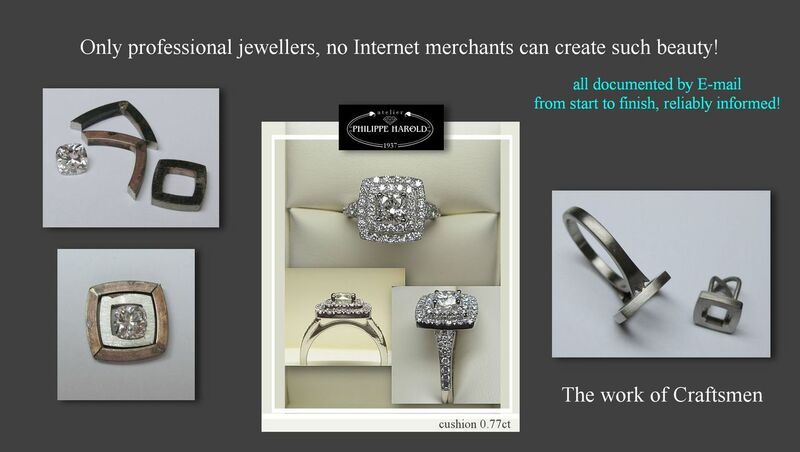 Impatience means industrially produced, low quality rings or any other jewellery for that matter, mass produced, never customised, using lower quality precious metals, hastily assembled with no regards for precision or real compatibility between the diamond and the setting nor for wedding band compatibility. 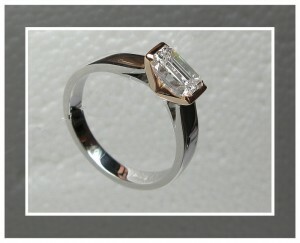 Patience means high quality craftsmanship, high quality precious metals. 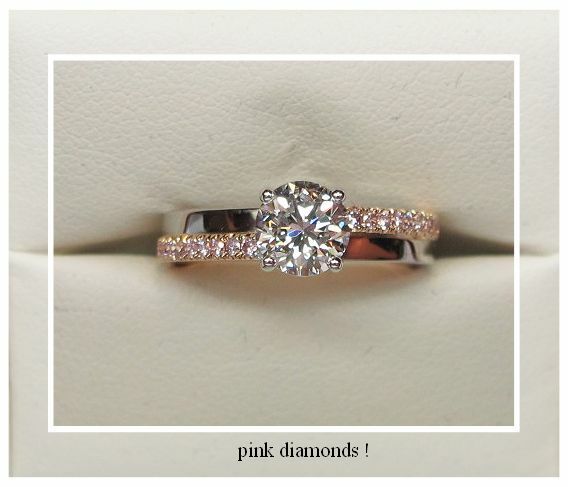 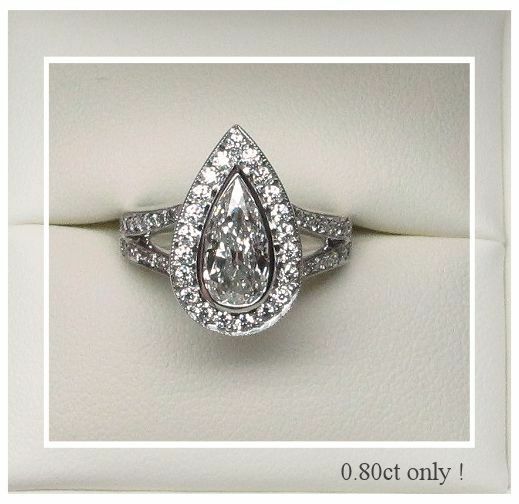 The setting is perfectly adjusted to fit the precise measurements of the main diamond. It also means that you get to choose the ring style, not compromising your dream ring. 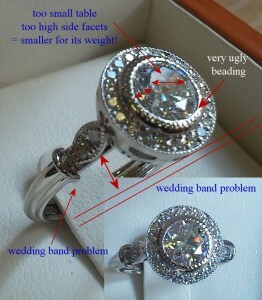 The ring will always be build as wedding band adjusted too. Simple ring styles are available for quick delivery but special rings for non round diamonds do require custom made settings. 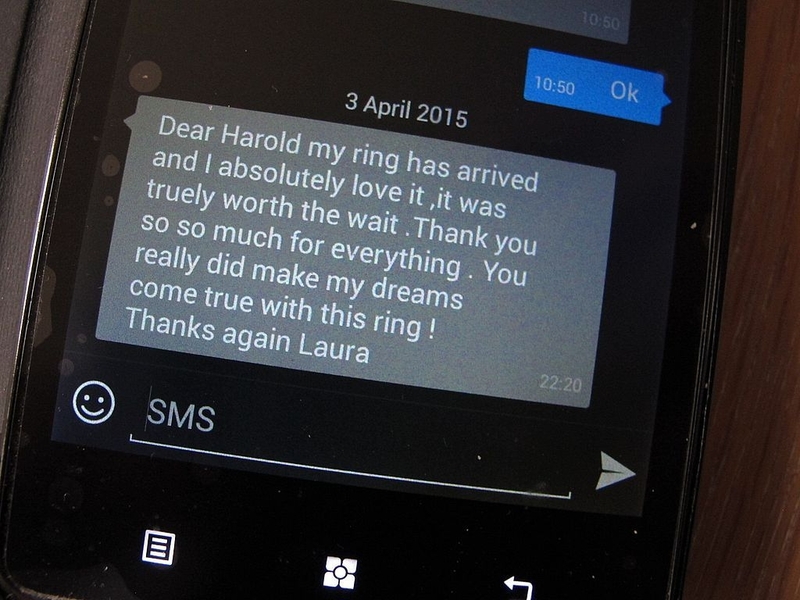 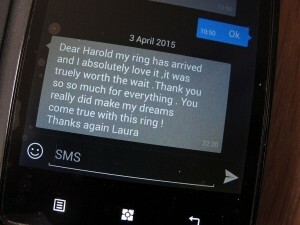 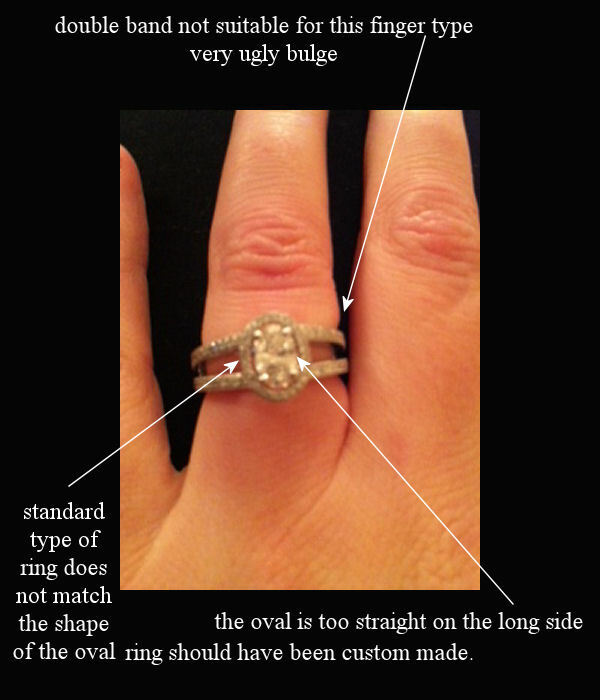 of a horrible ring delivered by a greedy merchant to an impatient Lady ( best viewed at least on a laptop screen instead of a tiny mobile phone’s screen ) and examples of much better work and the resulting happy comments from wiser Ladies.